Laskey Gallery is a quarterly art exhibit features local and national artists whose lives blend the creative and the spiritual to produce inspiring work that casts an artist’s eye on issues of racial equality, women’s empowerment, intercultural understanding, and spiritual formation. The exhibit is located on the second floor of Laskey Hall and is free and open to visitors between the hours of 8 am and 9 pm daily. In addition, all are invited to attend the quarterly opening of each new exhibit, which includes an artist meet and greet and a reception. Come celebrate the movement of art and spirit in our world! Poet’s Corner invites you to join fellow poetry enthusiasts for a monthly reading by a featured local poet at 7:00 pm–8:00 pm in Fondren Hall. 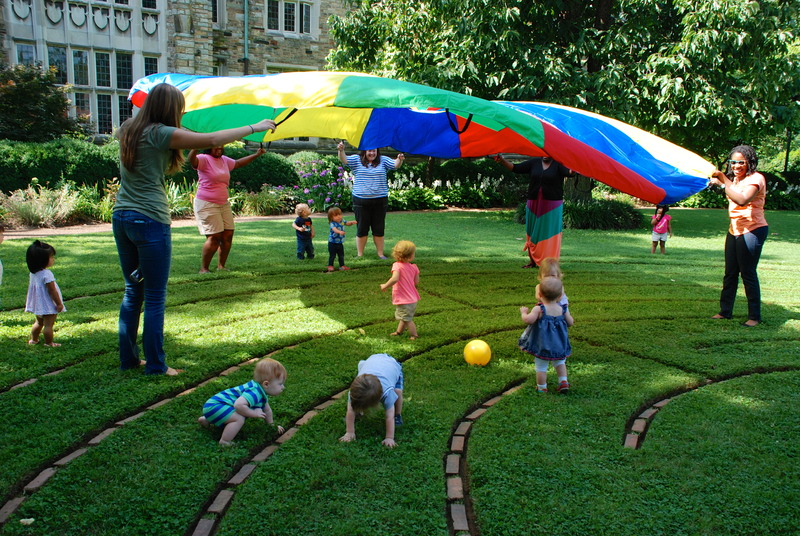 Poet’s Corner is always free and open to the public. Over the years, various themes have surfaced: religious and faith based; emotions including love, hate, hurt, frustration, etc; personal reflections and observations of life; nature; resistance to the “isms” of society. Our initial purposes were to provide a space for poets to read their work in an informal setting, to talk about their poems, and to be in dialogue with the audience. Audiences have included family, friends, former students, other poets, and many simply interested in hearing good poetry. 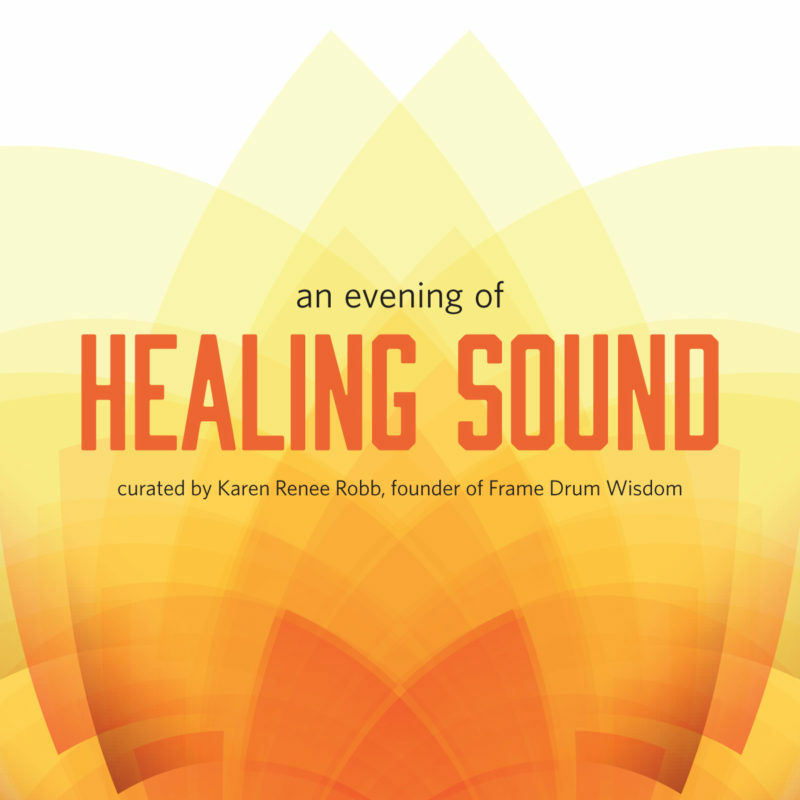 An Evening of Healing Sound is a concert, an evening of sound and music that will delight your senses and bring peace to your soul. Kristin Clark with Bryan Clark, DW Jackson, Connye Florance and many more. An Evening with Rumi is an interactive community gathering of Rumi poetry accompanied by live music with Massood Taj & friends. 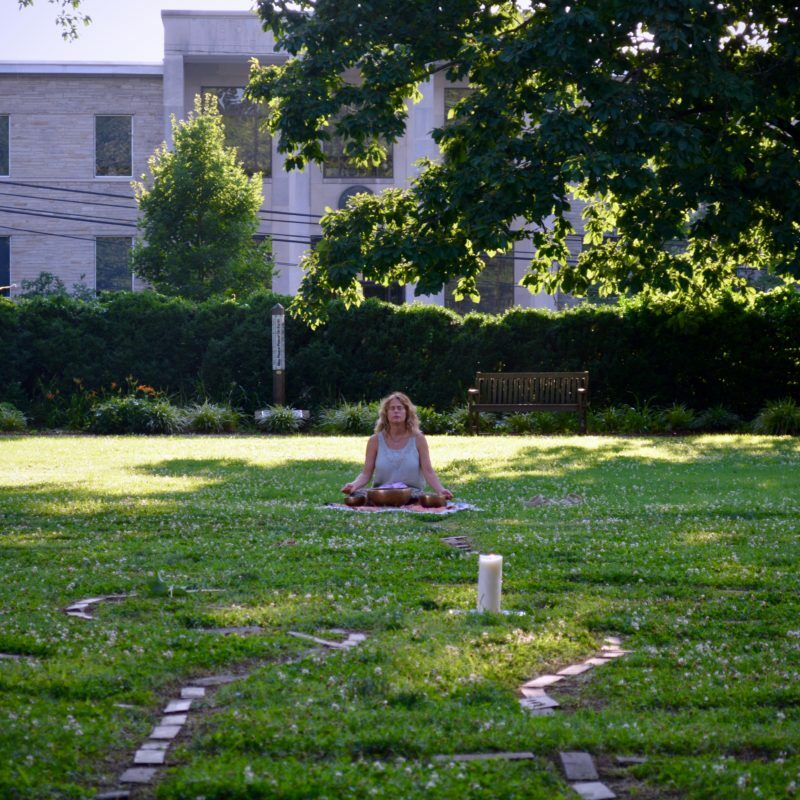 Rumi’s timeless poetry touches the heart of humanity and celebrates the sacred in everyday life, transcending reli­gious boundaries and cultural traditions, and continues to play an ever-inspiring role in building a global community. Bring your favorite Rumi poem to read with live back­ground Sufi music and dance in both native Farsi and English. 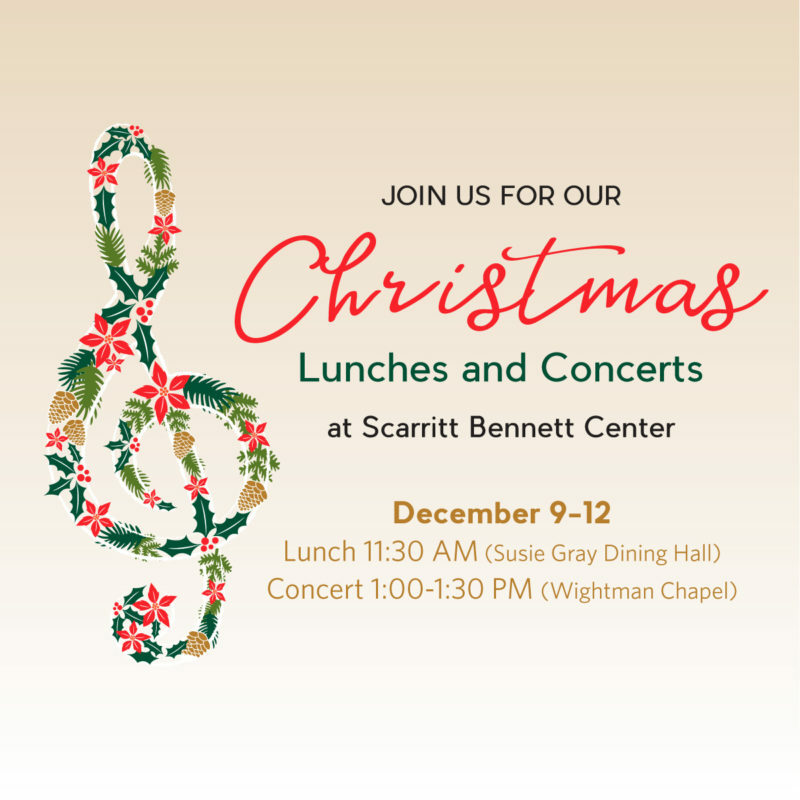 Scarritt Bennett’s Christmas Lunches and Concerts are a highlight of the Nashville Christmas season. Enjoy a 4-course banquet lunch prepared by Scarritt Bennett’s Executive Chef Jennifer Threadgill and served in our historic Susie Gray Dining Hall. Afterward, join your fellow attendees for a free concert in our breathtaking Wightman Chapel.